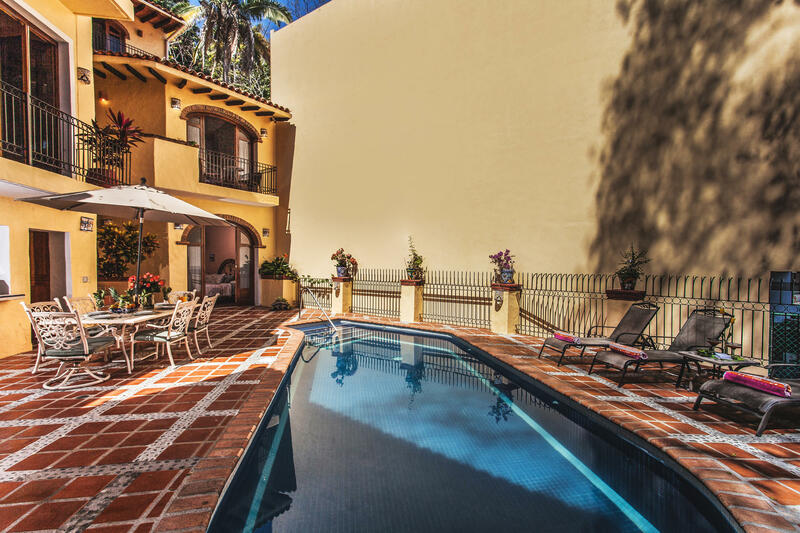 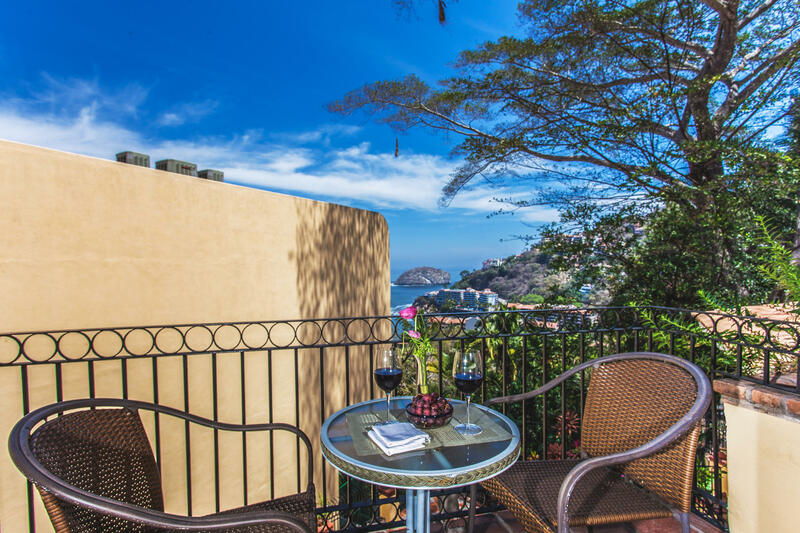 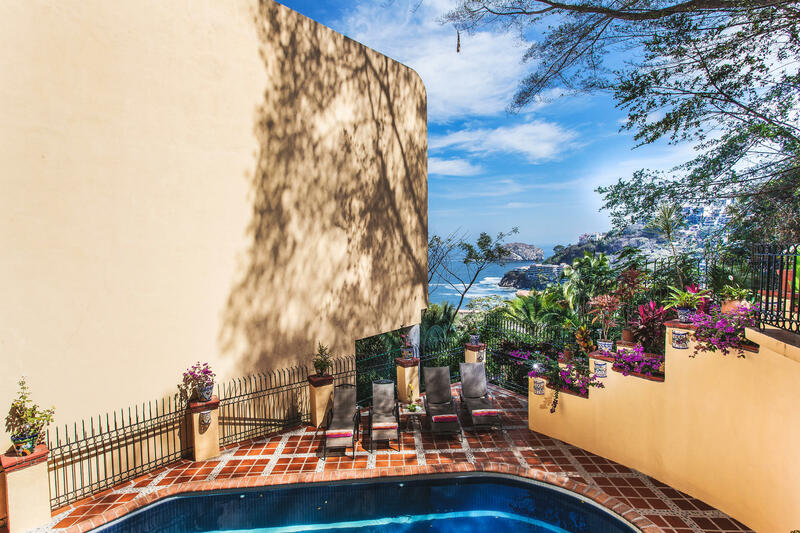 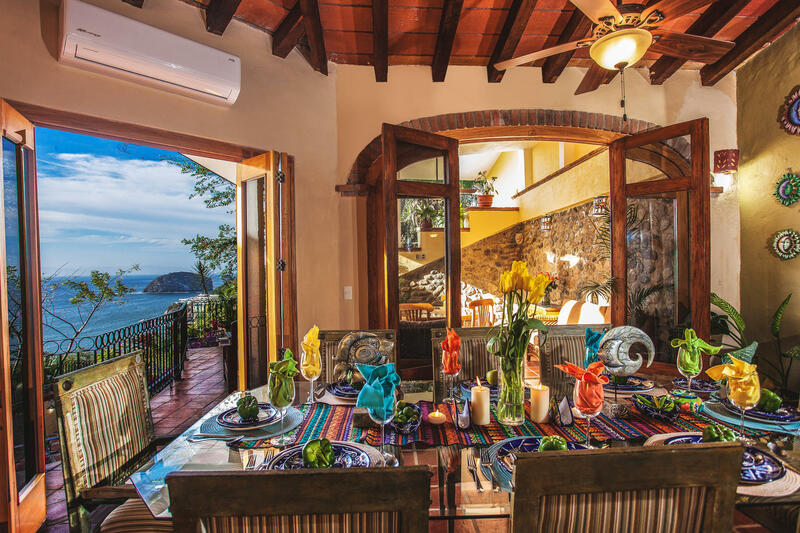 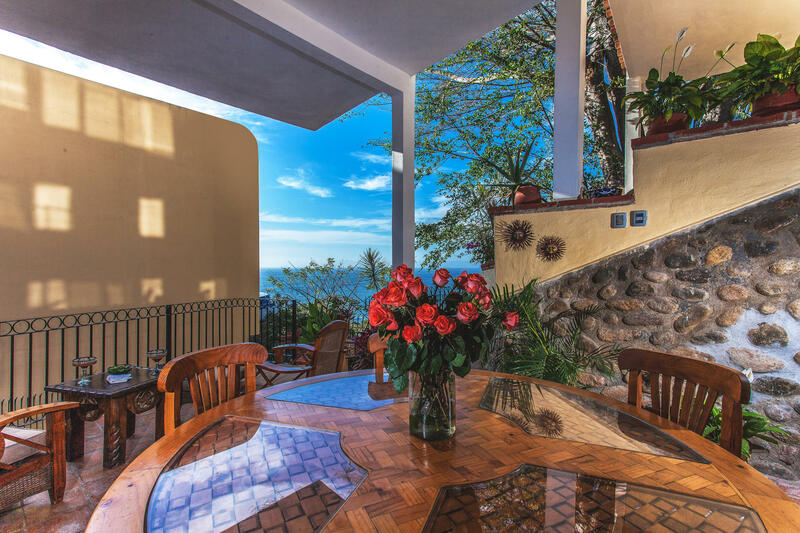 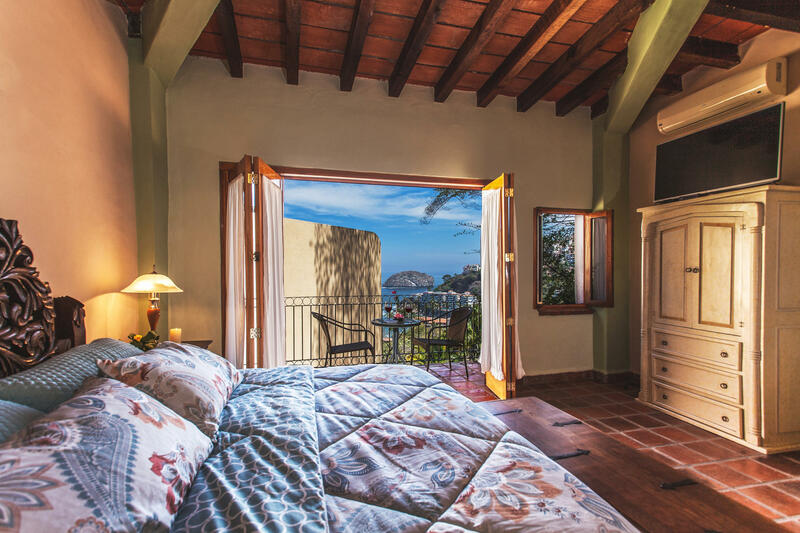 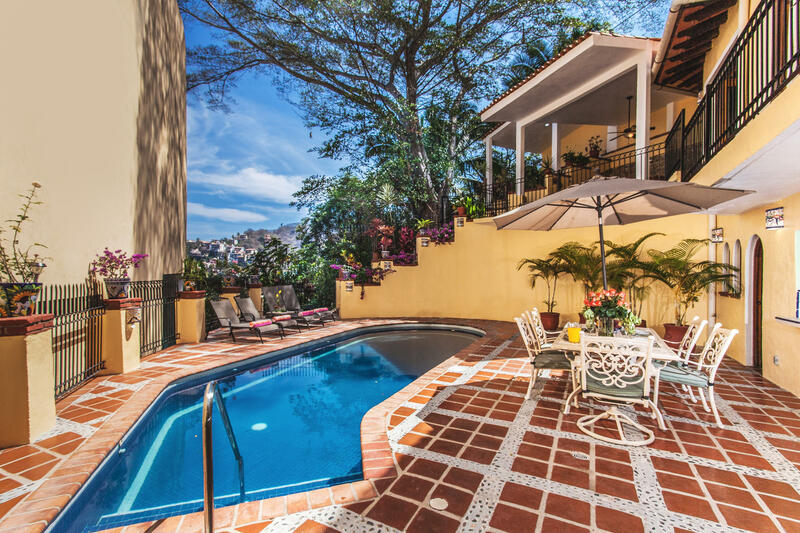 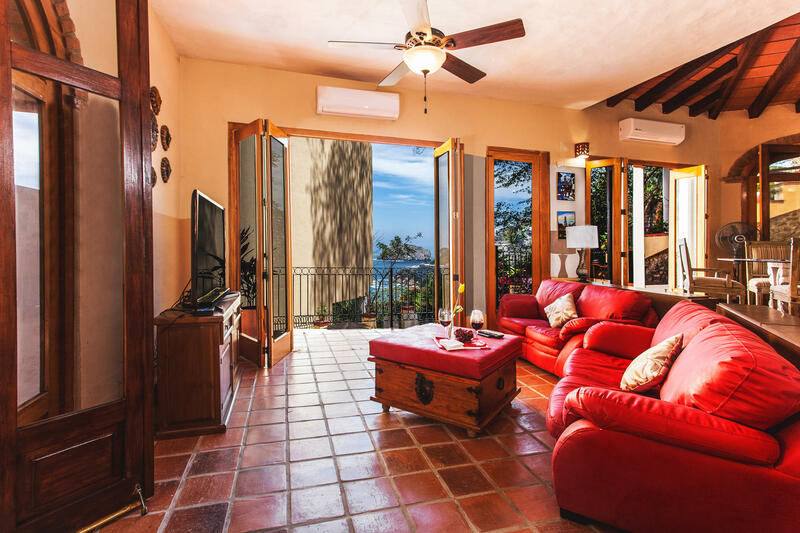 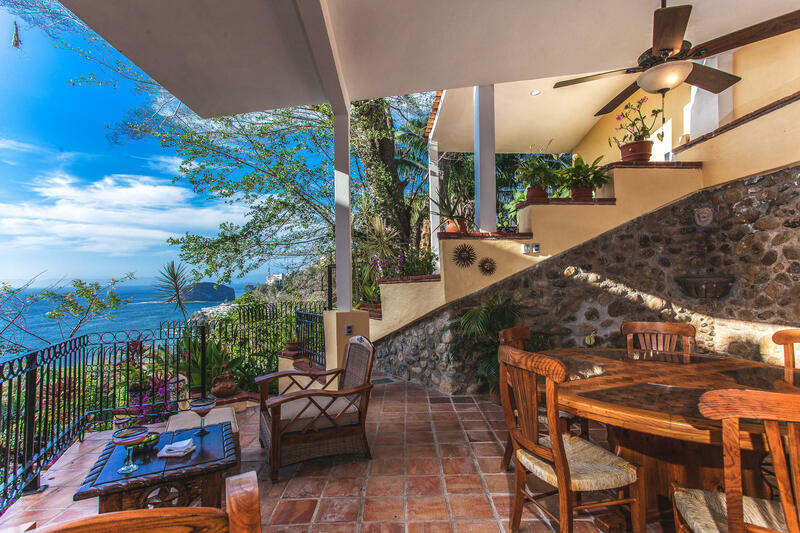 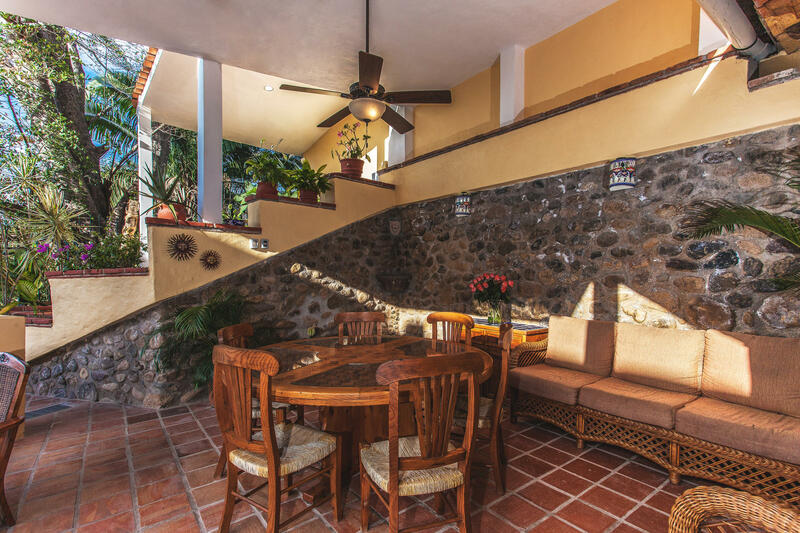 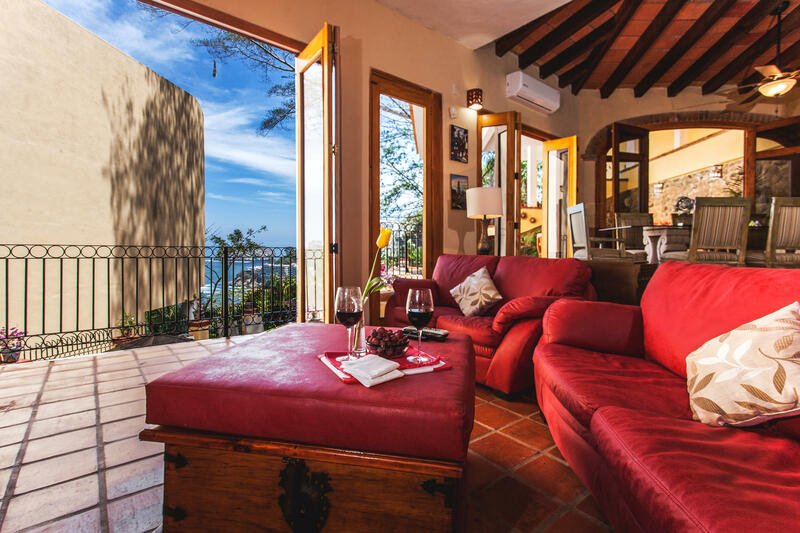 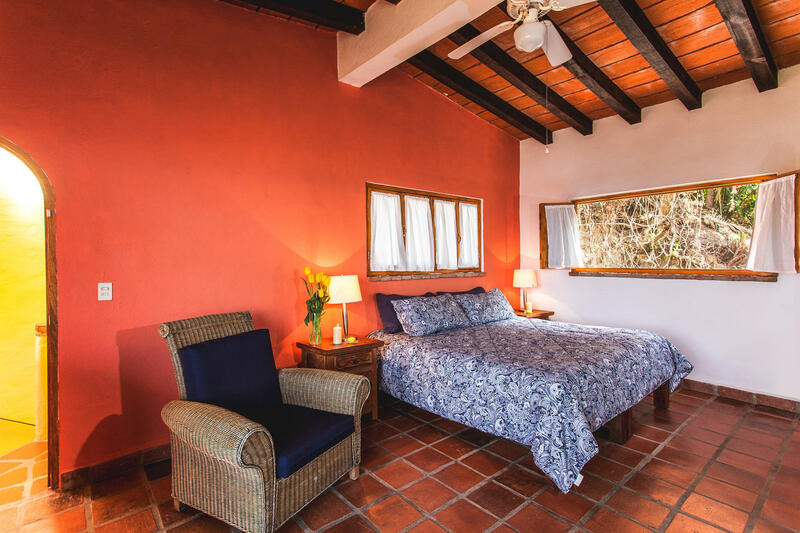 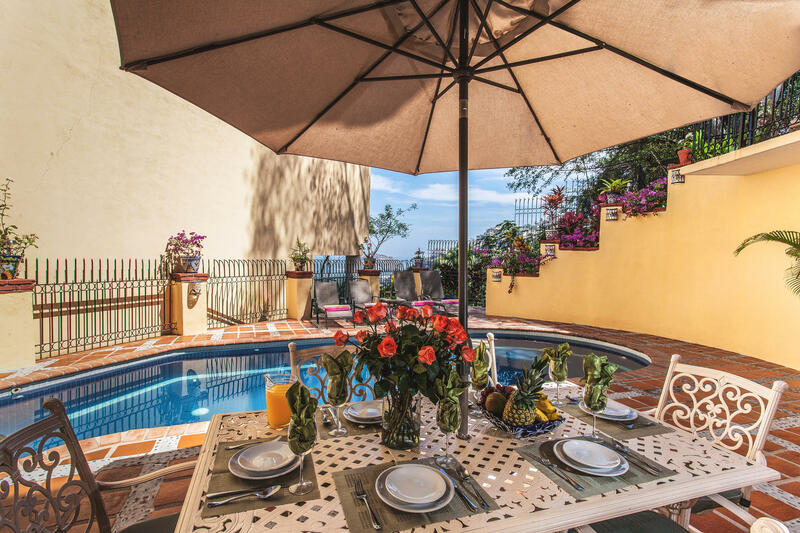 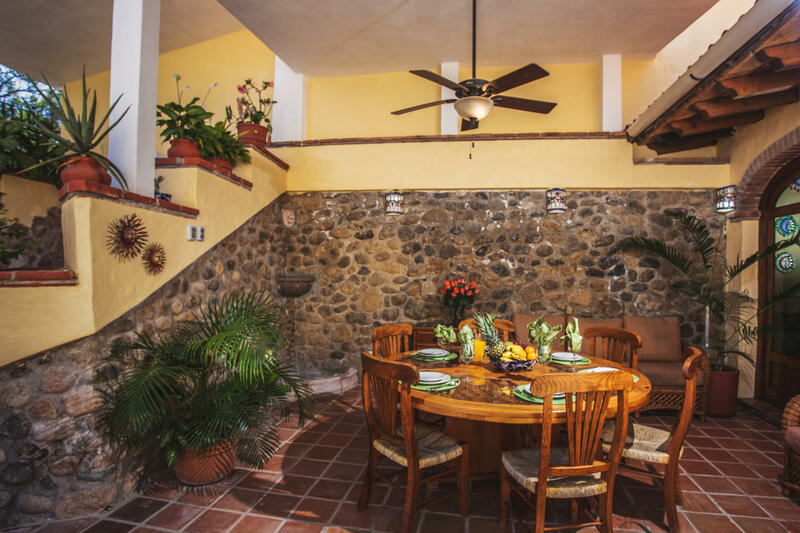 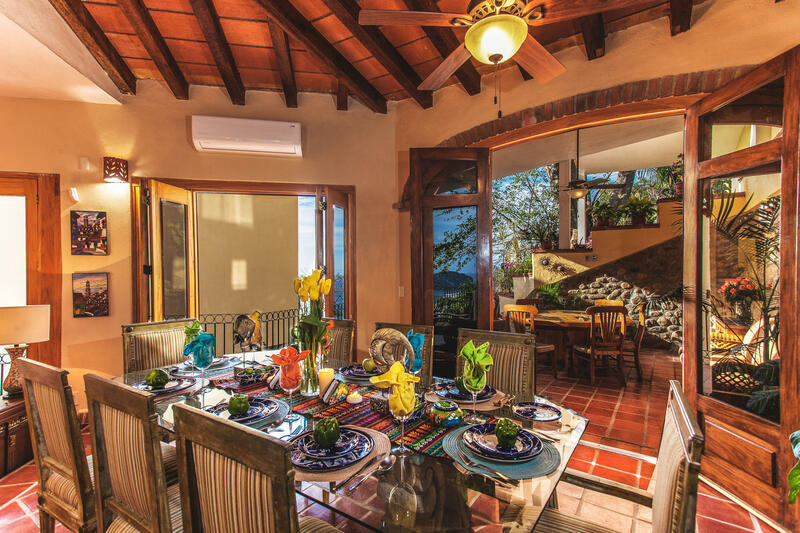 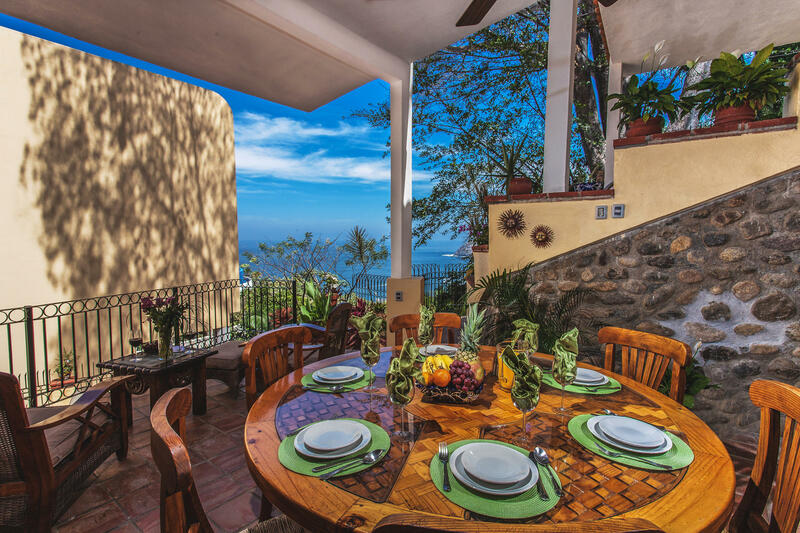 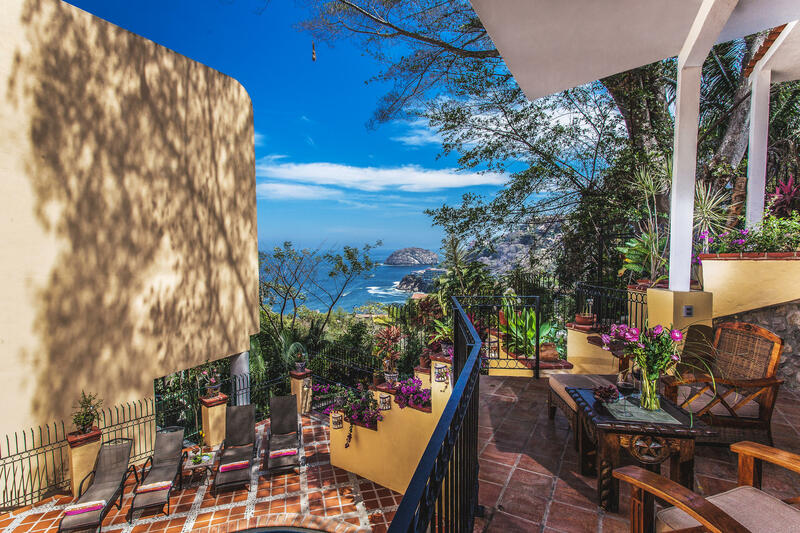 A magical oasis set amidst mountains and jungles of Mismaloya, Casa Vista Los Arcos is a beautiful multi-level Spanish villa with 4 large bedrooms, 6 baths, 2 kitchens, heated pool and hot tub, A/C, and garage. 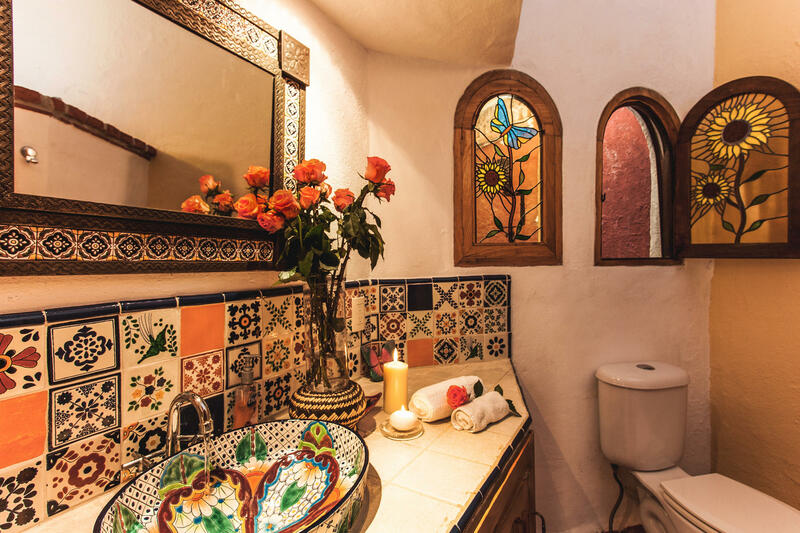 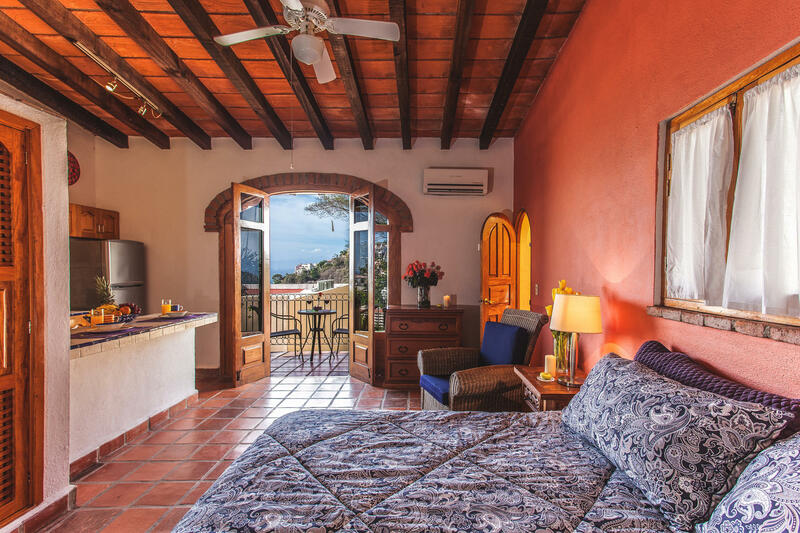 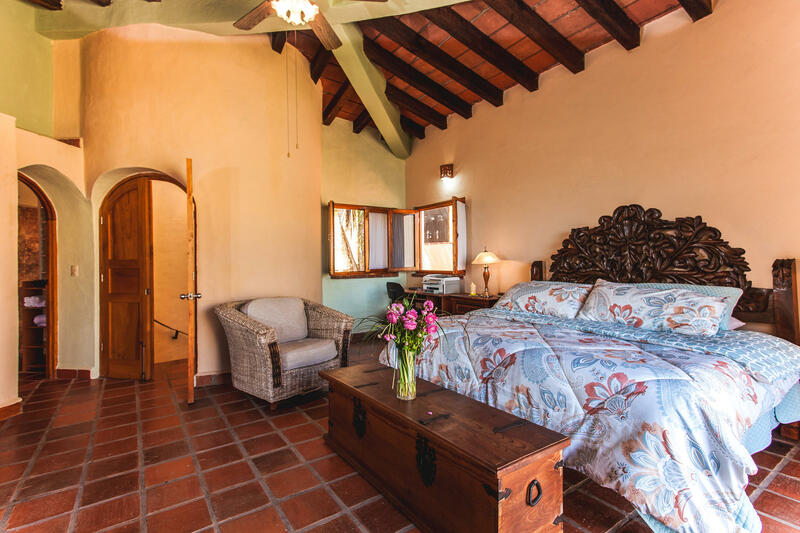 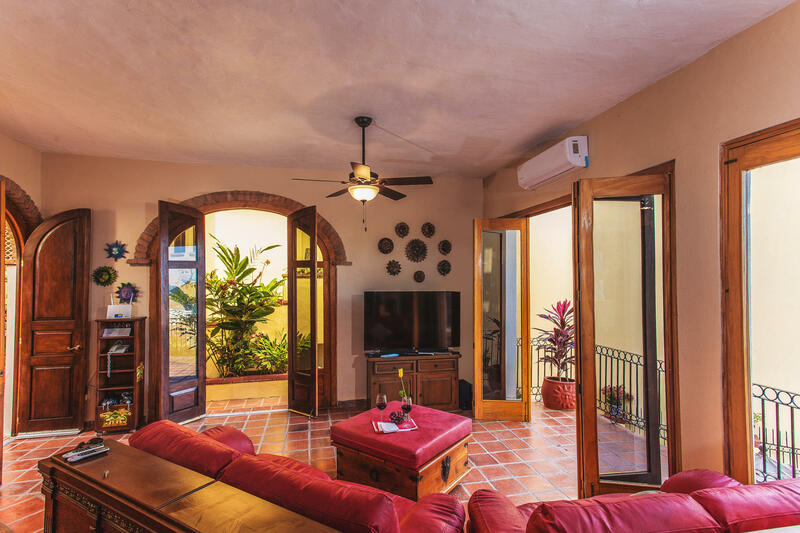 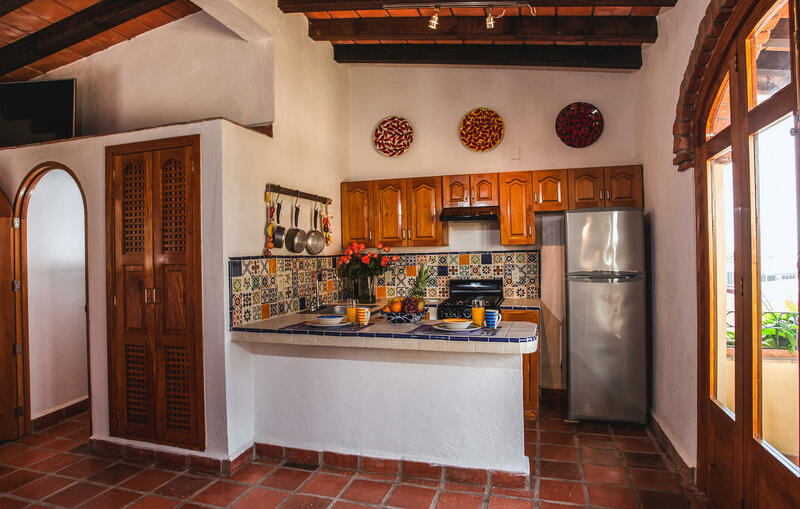 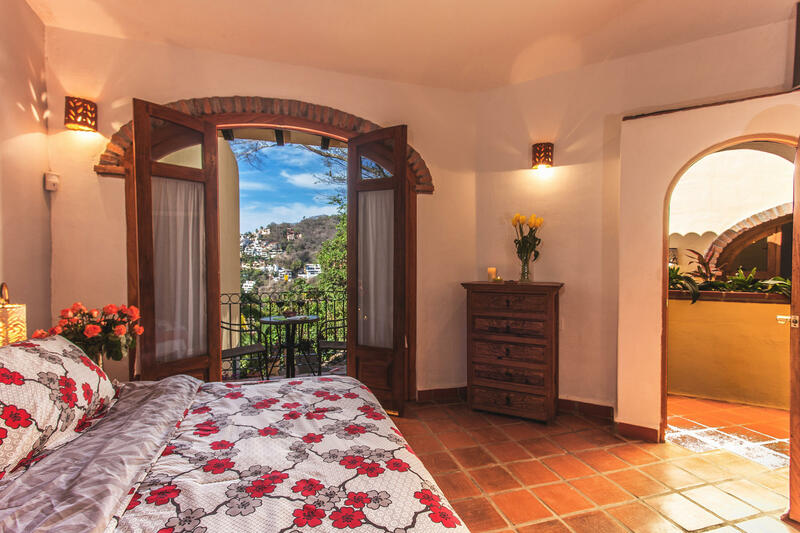 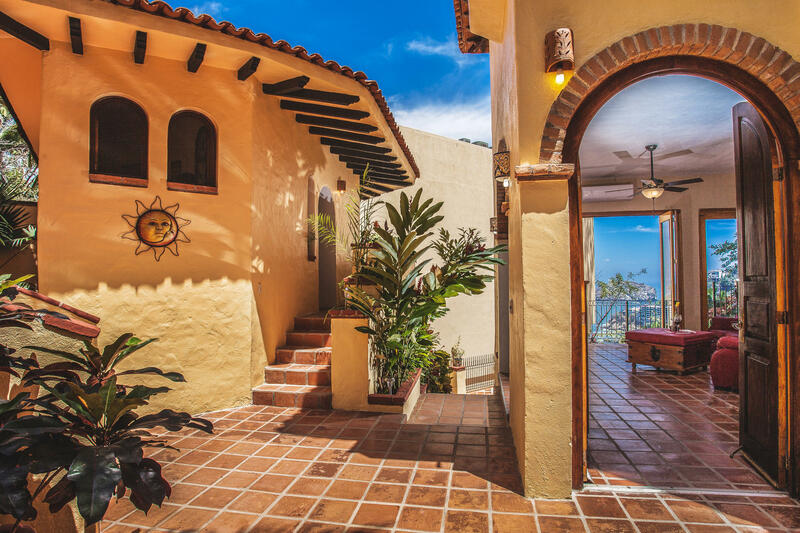 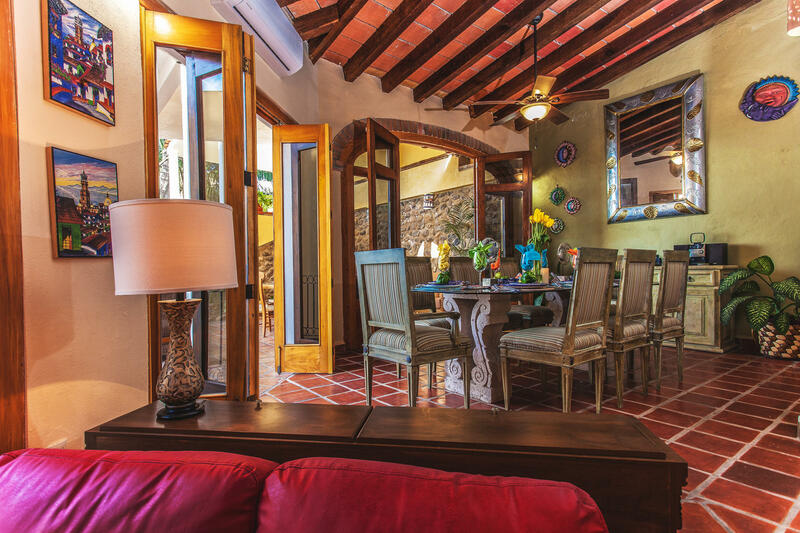 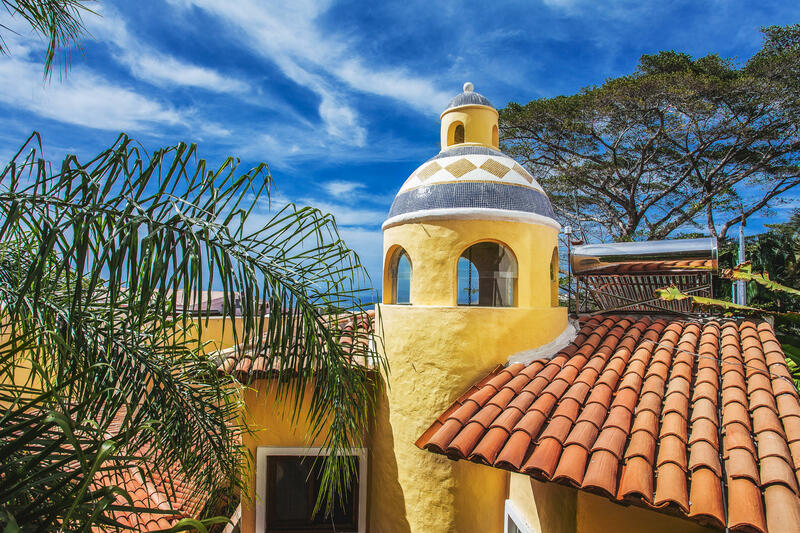 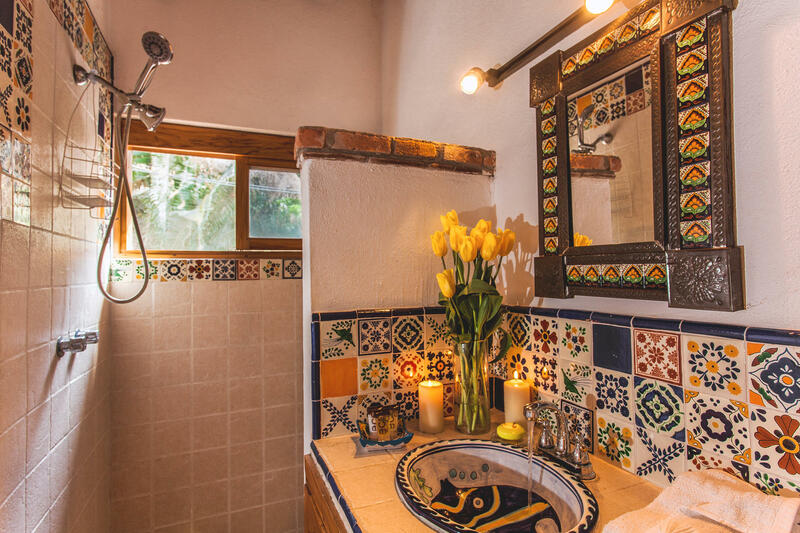 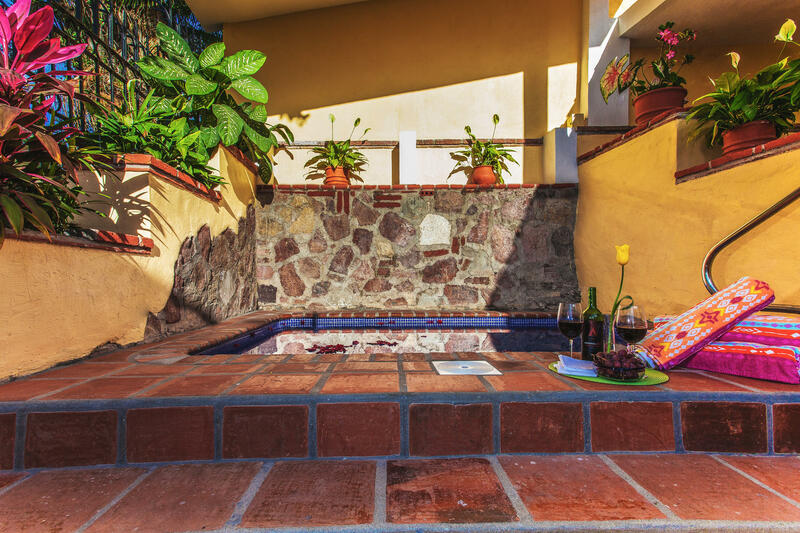 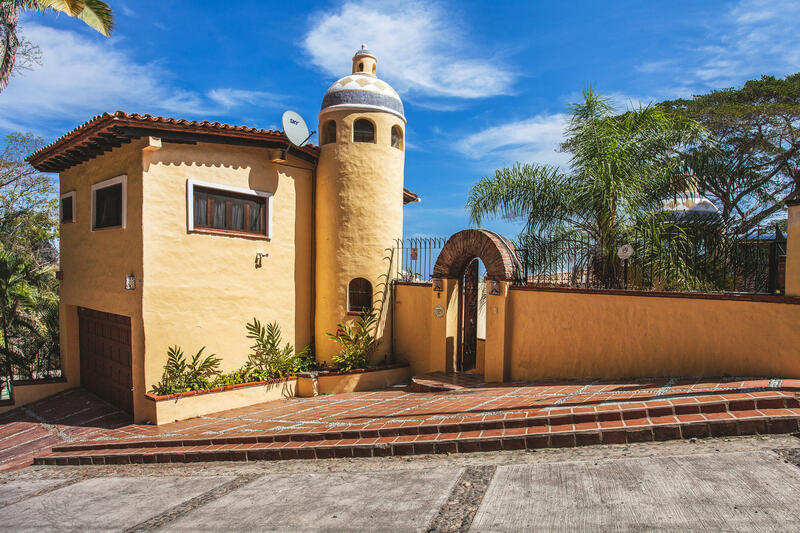 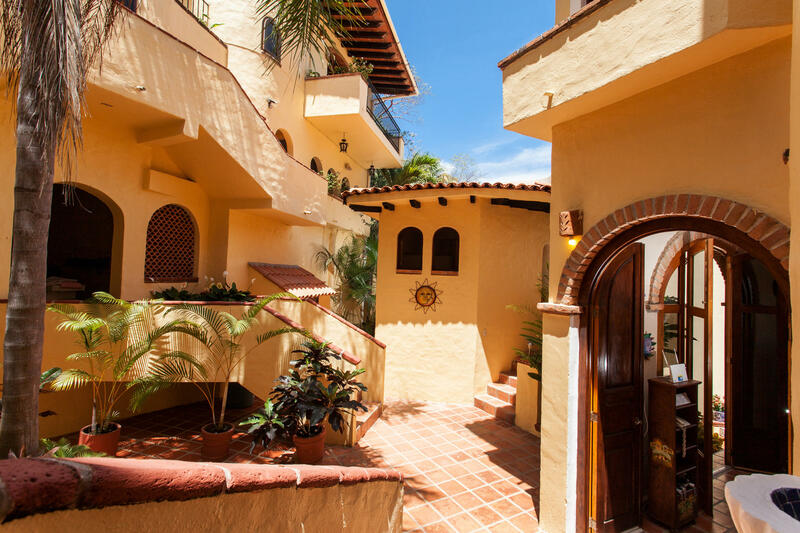 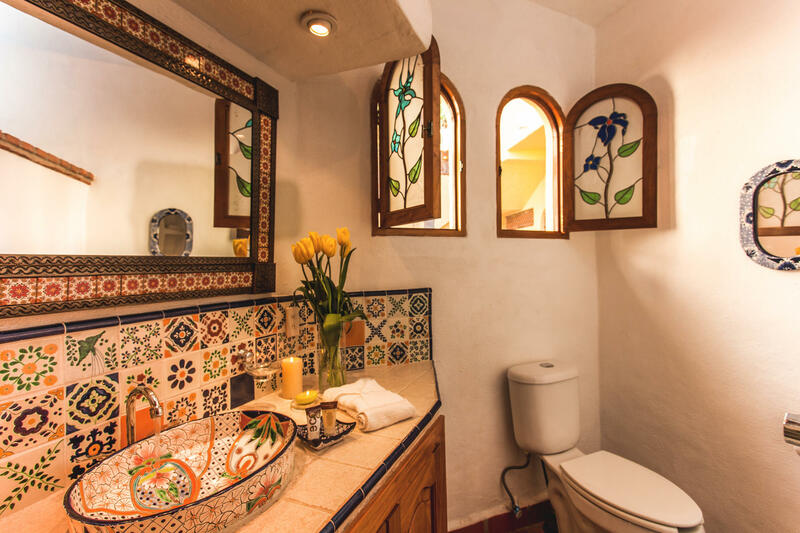 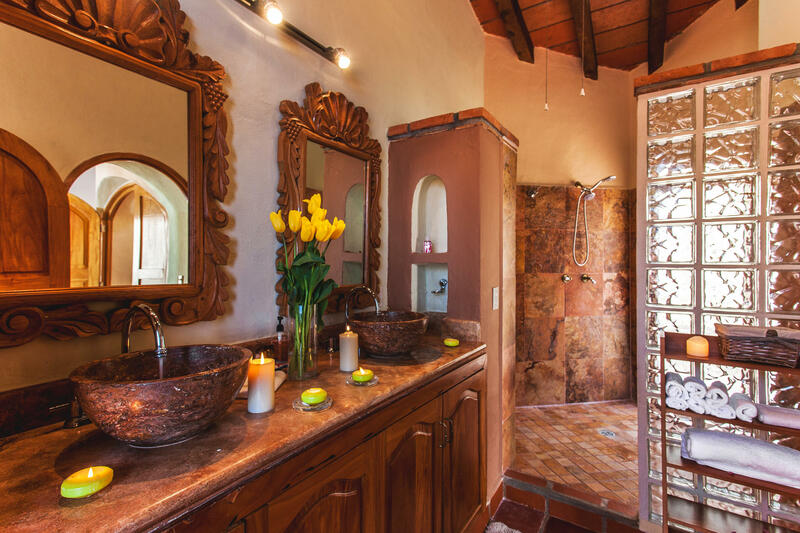 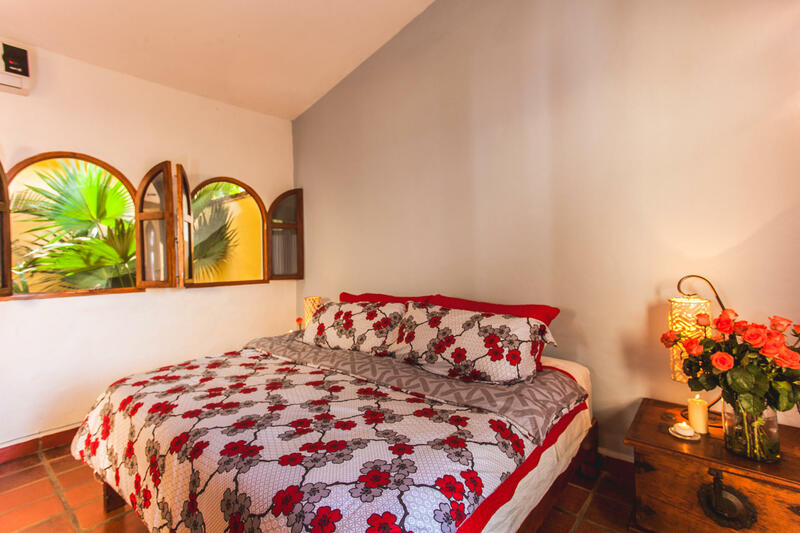 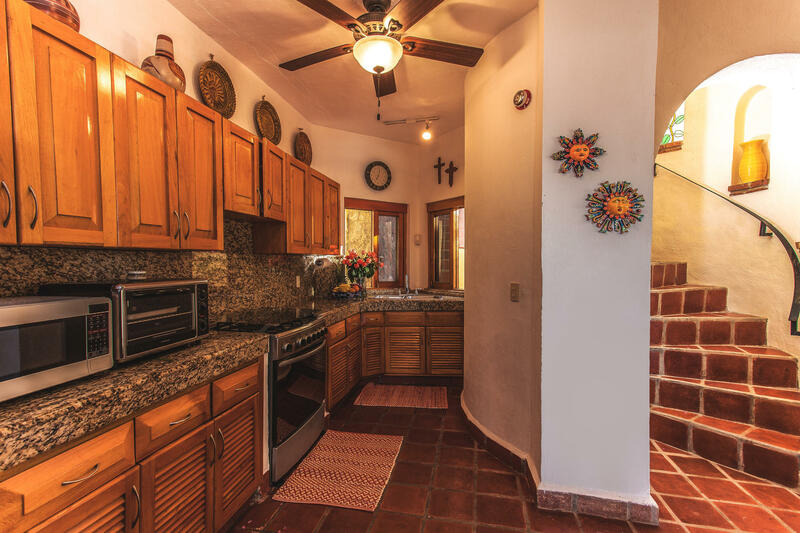 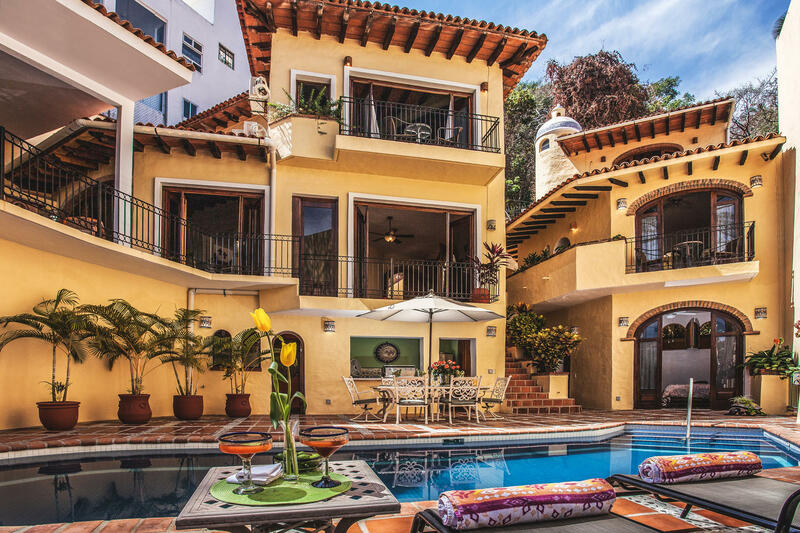 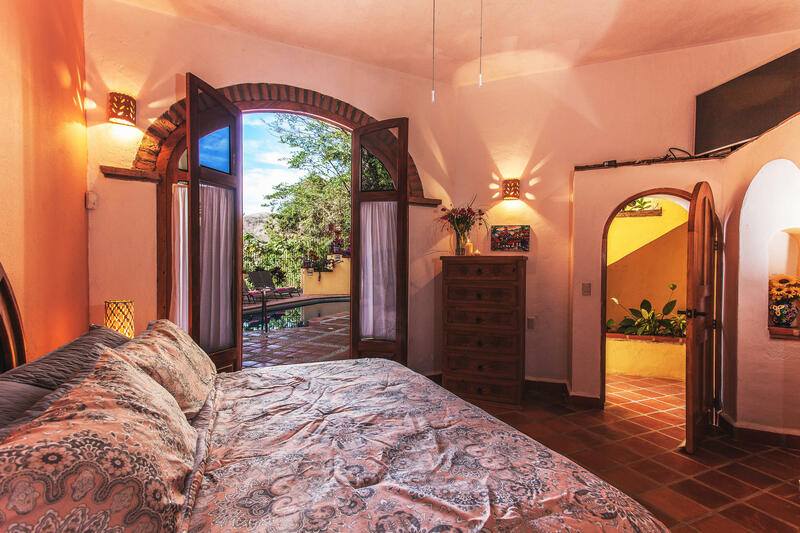 Beloved traditional Puerto Vallarta architecture radiates Mexican charm with Saltillo tiled floors, arched passageways and windows, colorful tiled bathrooms, tropical hardwood framed doors, vaulted ceilings, stunning tiled cupola, and richly decorated with hacienda style furnishings. 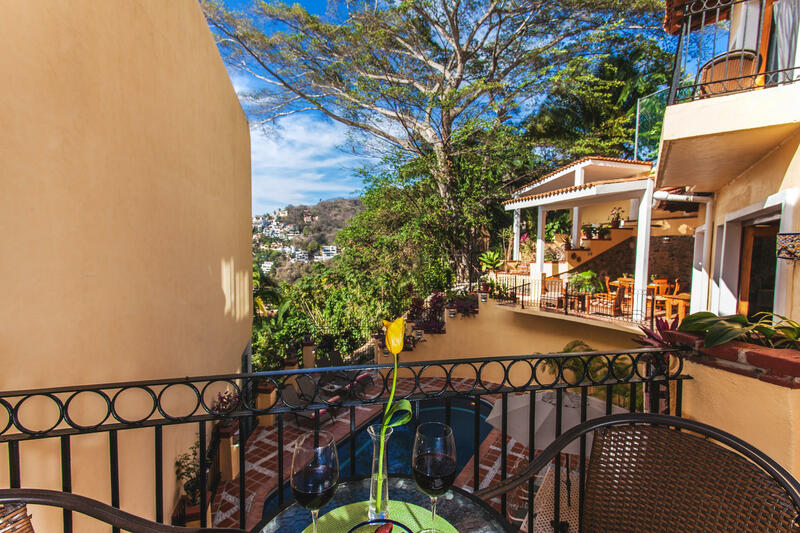 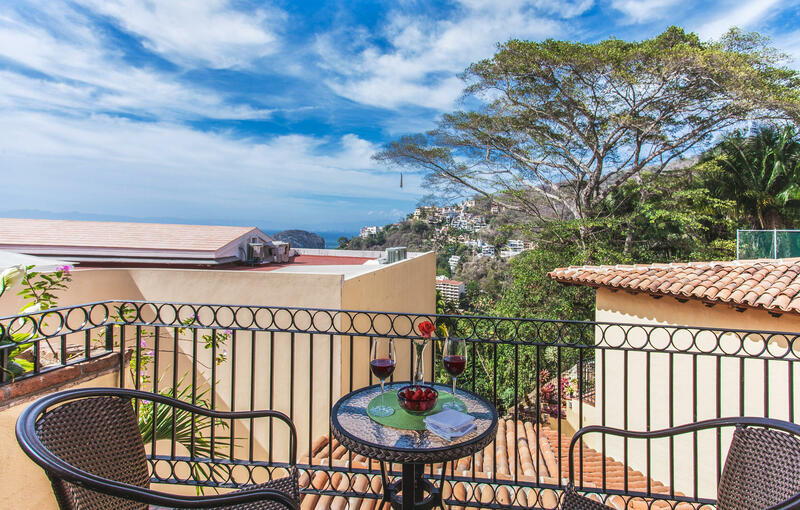 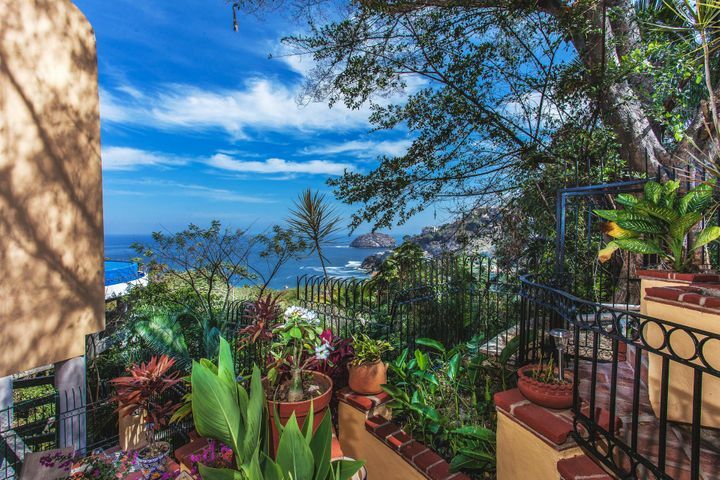 All 4 bedrooms are large with private bathrooms, balcony or terrace and ocean views. 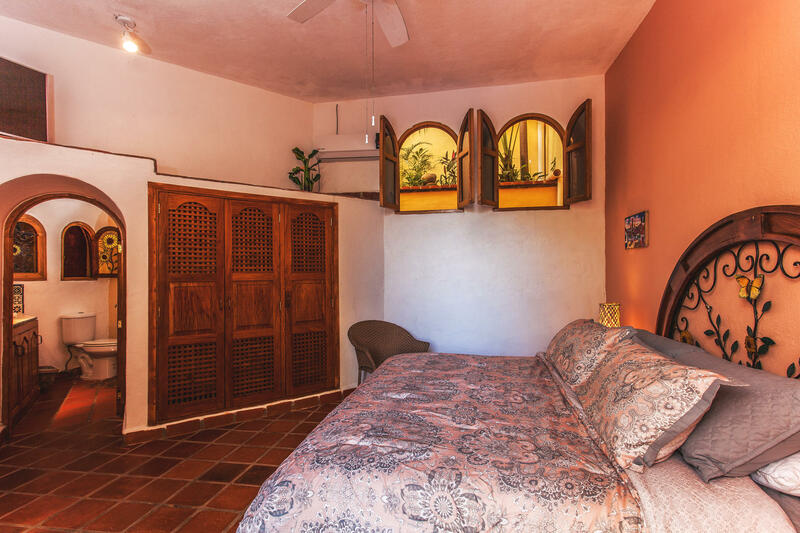 One bedroom is in a private studio with its own kitchen. 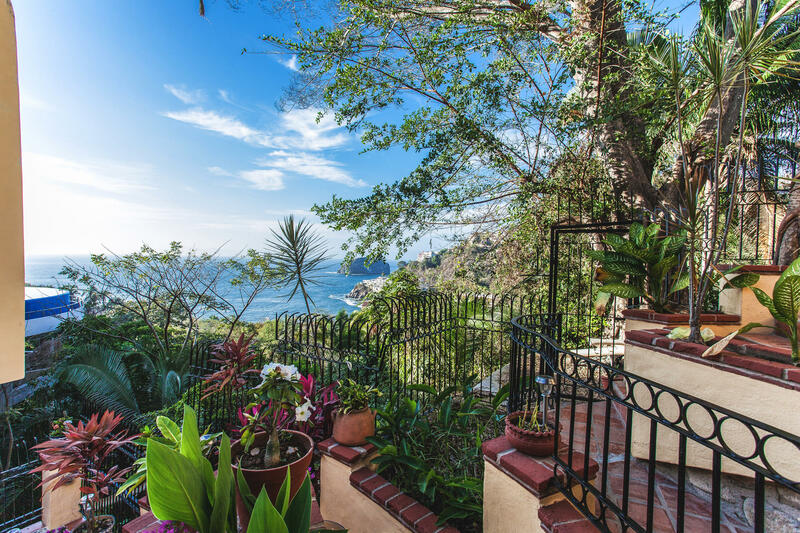 A dream home for nature-loving privacy seekers, this open-aired villa features terraces on all levels with picturesque views of the mountains and ocean beyond.